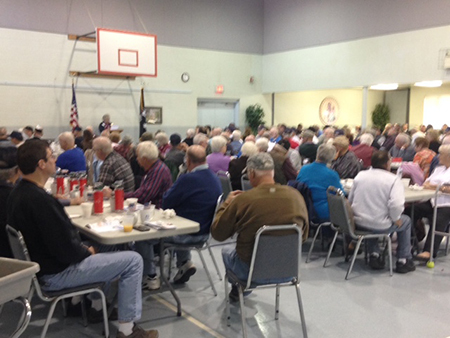 Thank you to the many veterans who joined us on Thursday for our annual Veterans’ Breakfast at St. Joseph’s Parish Center in Milton. This important event is designed to show our continued appreciation to our local veterans and to remind them that we are available to now serve them in whatever capacity we can. 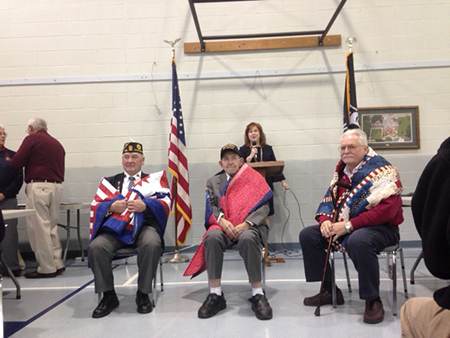 A special presentation from the Quilts of Valor Foundation gave lovingly handmade quilts to three special veterans (from left): David R. Ferguson of Watsontown, who served in the U.S. Navy; Robert Gudmundson of Milton, who served in the U.S. Army; and William Mackey of Sunbury, who also served in the U.S. Army. 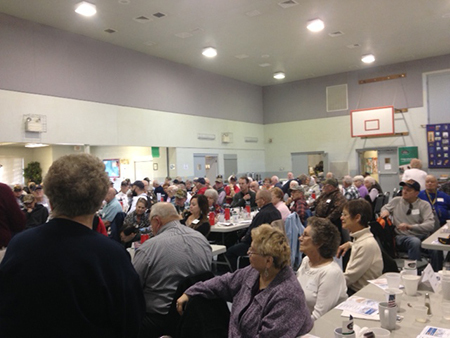 It was great to see so many people attending, and for me to be able to personally thank you for your valuable service to our nation. Thank you also to our guest speaker, Robert Williams, vice president of operations and president of UPMC Sunbury, and to our featured sponsor, UPMC Susquehanna in Sunbury. Also participating and deserving of our appreciation are Wallace W. Fetzer Inc. American Legion Post 71 of Milton; Laura Shrawder-Miles of Riverfront Financial and Home Helpers; Quilts of Valor Foundation; and St. Joseph’s Parish. As Veterans Day approaches, I again want to say “thank you” for the sacrifice you and your loved ones have made to keep us all safe. To help ensure veterans have access to the wide range of support services and programs available to them, the Pennsylvania Department of Military and Veterans Affairs has compiled an online registry to better connect veterans with available resources. Registration – which includes submitting basic information such as name, age, home address, email, etc. – takes only a few minutes, and can be done at www.register.dmva.pa.gov. Additionally, I host a service officer from the American Legion at my district office in Sunbury each month, on the first Wednesday of the month from 9:30 a.m. to 3:30 p.m. The officer can help with compensation, pension, death benefits, education and health care, as well as any issues pertaining to veterans benefits or the U.S. Veterans Administration. Please call 570-286-5885 to schedule an appointment in advance. 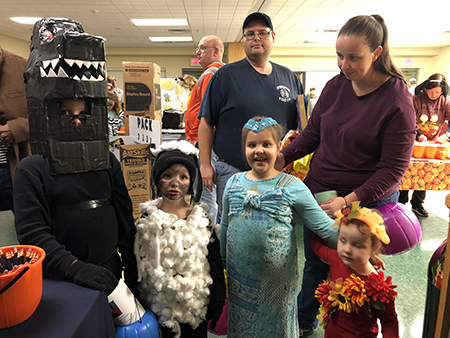 I had a terrific time last week at Degenstein Community Library’s annual “Boo Bash.” The event, which occurs every Halloween, brings together local organizations that offered information and services to those who attended. This year, more than 825 children and adults took part. My office also had a table set up, filled with brochures and literature on a number of state programs for families. 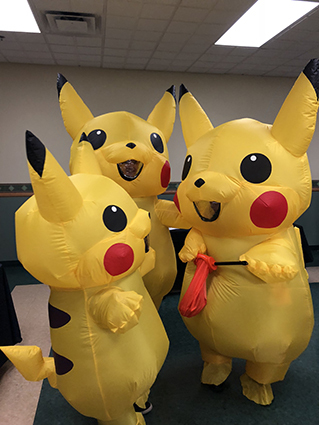 It was great to see so many creative costumes! PennDOT’s full-service center in Harrisburg and all of its driver license and photo centers will be closed Saturday, Nov. 10, through Monday, Nov. 12, for Veterans Day. Customers may still obtain a variety of driver and vehicle products and services, including all forms, publications and driver training manuals, online through PennDOT’s Driver and Vehicle Services website, www.dmv.pa.gov. Additionally, our offices will be closed on Monday, Nov. 12. We will reopen at 8:30 a.m. on Tuesday, Nov. 13.